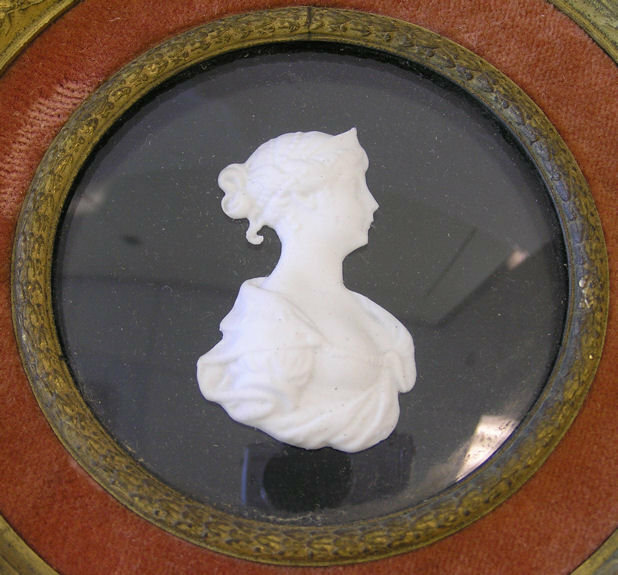 This antique bisque porcelain silhouette by KPM depicts Queen Louisa ( Königin Luise von Preussen ), wife of Friedrich Wilhelm III, King of Prussia. 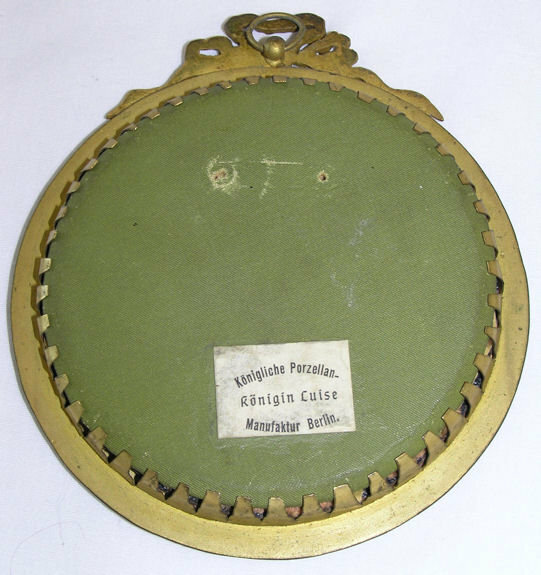 Paper label reads " Konigliche Porzellan Konigin Luise Manufaktur Berlin ". 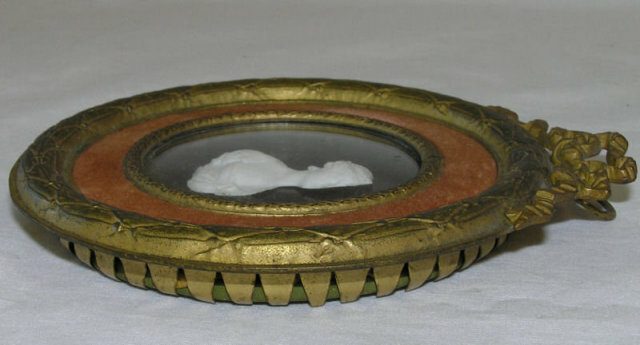 Frame measures 4 5/8" by 5 1/4" and silhouette measures 1.75" by 1". Thanks for visiting. Please let us know if you have any questions or comments. 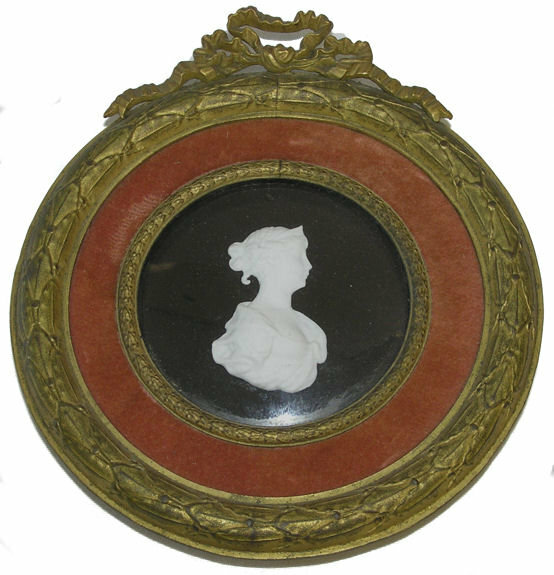 Items Similar To "Queen Luise KPM Porcelain Silhouette"